Halloween 2018 is here and get ready for some scary times! As the celebration rolls on, Bollywood has also taken the celebrations very seriously indeed! 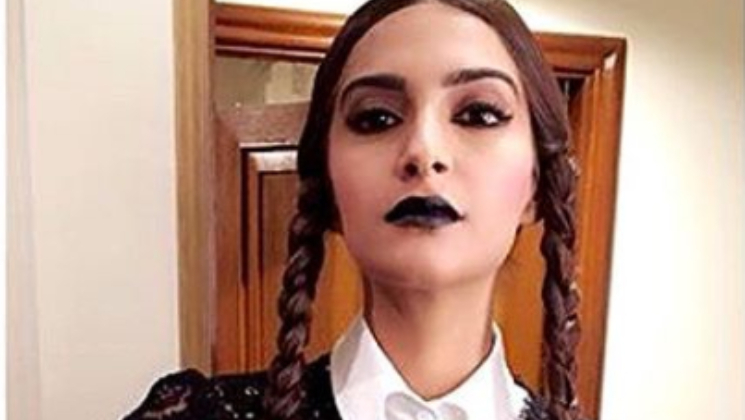 Sonam Kapoor who is known for her fashion sense and panache, shared a picture of herself on social media dressed for Halloween. Sonam Kapoor is considered as a fashionista and very popular for her quirky and unique choices as an actress. The ‘Aisha’ actress is a staunch feminist and is always known for speaking her mind. Sonam’s much-publicised wedding with Anand Ahuja in May 2018 was a grand spectacle, with majority of Bollywood attending. On the work front, Sonam was last seen in Ranbir Kapoor‘s mega blockbuster ‘Sanju’ in a cameo appearance. The ‘Veere Di Wedding’ actress is currently filming ‘Ek Ladki Ko Dekha Toh Aisa Laga’ and ‘The Zoya Factor’.